Learn all about canine influenza right now! The purpose of this article is to clearly explain canine influenza. Learn the signs and what to do when it strikes. In today’s society, almost anybody could get sick – even your dogs. Did you know that there is such a thing as canine influenza? The animal version of flu is similar to human influenza. Over the years, there is actually a lot of information going around on dog flu. Sometimes, you might just want to lock your beloved canine friends indoors to protect them from this flu virus. Canine influenza is becoming more common nowadays. It used to only affect the greyhound racing species, but it has started infecting even domestic dogs in the last several months. So, you need to worry about it! The virus is known to be deadly especially in dogs which have a weak immune system. 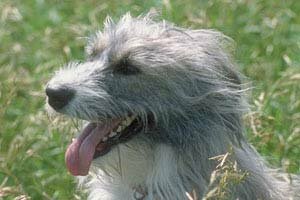 The most recorded cases of canine influenza are on older dogs and young puppies which don’t have enough strength to fight the virus. Still, even if you have a perfectly healthy domesticated dog, you should not disregard the fact that your dog can still be infected with the virus. Don’t start locking your doors or tying up your pets just to keep them safe the flu. There are now proven ways which can protect your dogs but at the same time have them enjoy the outdoor fun to the fullest. You just have to take extra precautions to prevent your beloved pets from catching anything. You have to be aware that this canine influenza is a highly contagious virus. Your dog could easily get this from any dog in the neighborhood. To control the possibility of infection, there are a few standards and regulations that have been set by the American Veterinary Medical Association or AVMA. Make sure that all the places being visited by your dog follow the AVMA standards. That includes the grooming boutiques and pet stores that you usually bring your dog to. Avoid bringing your dog to boarding kennels or animal shelters that you’re not sure if they met the AVMA standards. If you plan to bring your dog along with you in places containing several dogs like in dog shows, check that they have met all the guidelines set to control canine influenza infections. With a virus this fatal, prevention is always better than cure. Take extra steps to minimize contamination of the virus. AVMA recommends certain procedures on how to isolate the dogs which are suspected to have canine flu. They also suggest seeking veterinary advice immediately once a certain dog is found to have infected the virus. Of course, the dog owner needs to be notified the condition of his dog. If you think that your dog has caught the canine influenza, don’t take him anywhere where he can transmit the disease to other dogs. Just call your vet and ask for his advice on what you can do to alleviate your dog’s condition. And as an effort to help control canine infections, change your clothes and wash your hands after coming into contact with a dog that carries the canine virus. In this way, you don’t go out spreading the virus to any other animals. So far, there has really been no proven evidence that humans can be infected by this dog flu. If you’re worried about your own health or your other family members’ health, you don’t have to worry. You can safely take care of your dog without the risk of catching the disease yourself. Usually, if your dog’s immune system is strong enough, he should be able to recover from the flu in less than a month. Your dog may suffer from a runny nose or persistent cough. However, if the flu is severe, symptoms may include pneumonia and fever in addition to the common cough and runny nose. Your vet may prescribe a series of medications to cure the flu. These are mostly antibiotics. If your pet is a young puppy or maybe an old dog, you should be aware that getting the flu may be deadly for them. Most deaths associated with canine influenza are on young puppies and old dogs that have somehow been infected with the virus. If you’re worried about their health, take them for a visit to your vet regularly. Make sure that in protecting your dog against the flu you haven’t restricted them from enjoying their lives. Just take the above precautions and you can safely allow your dog to play in the yards or with other dogs.